not enough permissions to access the database. Add user, which runs CM Proxy configuration utility, to 'dbcreator' server roles. Run SQL Server Management Studio from Start -> All Programs -> Microsoft SQL Server 2008 R2. Click Connect in 'Connect to Server' (Server type = Database Engine, Server name = , Authentication = Windows Authentication). 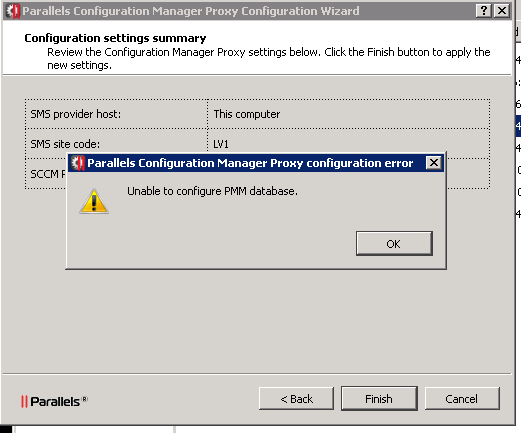 Ensure that the user, which will configure CM Proxy, present in -> Databases -> Security -> Logins. Right click on 'dbcreator' in -> Databases -> Security -> Server Roles and click Properties in opened context menu. Click Add... for Server Role Membership. 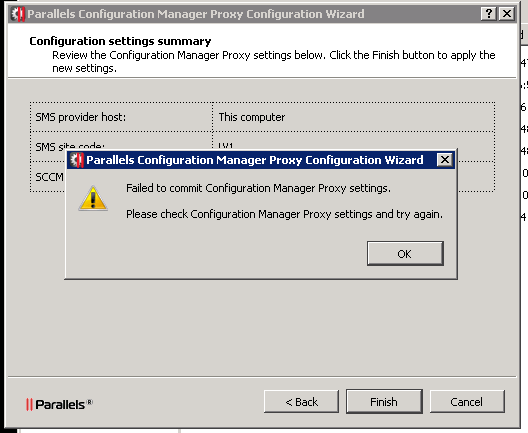 Browse logins to choose user which will configure CM Proxy. Select the 'login' and click OK in 'Browse' for 'Objects' dialog. Click OK in 'Select Logins dialog'. Click OK in Server Role Properties - 'dbcreator' dialog.